Don’t you hate it when health “gurus” like Dr. Oz tell us how to live? We already know how to live. We know how to eat healthy. We know how to exercise. The more those “health gurus” prattle on about unnecessarily complex health tips, the more it seems difficult to be healthy. Health is easy. But in the 21st Century, we are tricked into thinking that health is hard. The wellness industry is making us sick. Right now, more money is being made in the wellness industry than ever before. And at precisely the same time, obesity is at a record high. The wellness industry, which is supposed to make us all healthy, is intentionally making health confusing so that people no longer know what is good and what is bad for health. The average person is so confused about health they don’t even know whether it is healthy to drink water from the tap or not (the answer is yes, depending on where you are, what type of tap you have, the government regulations of your area… honestly!…). Every month, millions of people Google “The benefits of … X / Y fruit / veg”, read about all the good things those fruit and veg do for them, and they go and grab a chocolate bar. And don’t get me started on exercise. Should you do cardio before weights, or is it the other way around? Does it really matter so long as you exercise? No one but the most anally retentive gym-rat would think so. Wellness publications are trying to make us believe that health is complex so we have to read their blogs / magazines. Manufacturers are telling us that nutrition is hard, so we have to buy their supplements. Exercise gurus are telling us we need all manner of insane exercise routines instead of just generally working out, so that we are dependent on them to tell us what to do (please, you have a degree in sports psychology, how hard can it be?!). If one third of people are obese, it doesn’t matter whether they are doing a complex workout routine that targets the right muscle combinations… It matters that they are working out and not just binge-eating while watching Netflix. Thank God Ayurveda is getting popular and people are looking for alternative health systems. In Wellmania: Misadventures in the Search for Wellness, Brigid Delaney discusses how wellness has become an absurdly complex field. It’s hard to argue with her. We’re living in a world where we’re told that we must know in precise detail the nutritional statistics of food, and at the same time there are more fast food joints right now than at any other time in history. Time to kill this preposterous pseudo-intellectual tripe. Health is easy. And we need to remember that fact. Recently, I tried the paleo diet. I did it for two months. It’s an inanely complex diet system so convoluted you end up having to blend a cauliflower to make rice because real rice just aint healthy enough. As a mindfulness teacher, I’m always looking for the simple solution. Because the simpler something is, the more likely we are to succeed at it and to make it a habit. When it comes to dieting, we are far more likely to succeed by having a generally healthy diet than by trying to stick to some drool a self-professed “health guru” came up with because he wanted to proceed the word “diet” with his own name (I’m looking at you, Atkins). The other day I was watching my local news station when a lady came on and announced her new book, which taught how to diet by counting the different microbes in foods. Yes, because that sounds necessary. How many of her readers gave up and, so beaten by the complexity of this diet, turned to some comfort food for support? Statistics show that most diet fads fail. THE DAILY MEDITATION is a website that believes in simple health for happy people. Not in overly complex heath systems that serve zero purpose other than putting an author’s name before the word “diet”. 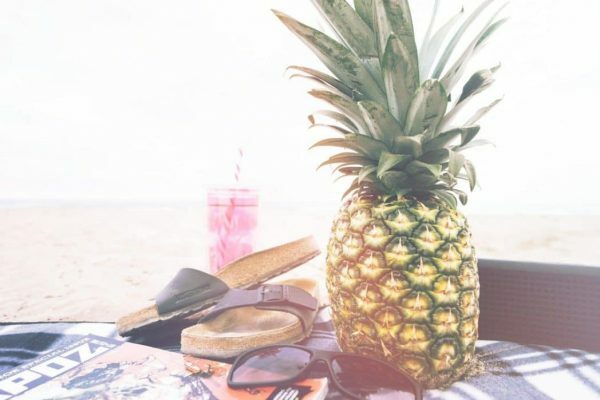 Here are some easy wellness tips for smart people who actually want to be healthy. This is my number one easy wellness tip. Don’t you hate it when a health “guru” tells you what you should be eating? Like you don’t already know what a good diet is! The nutritional world has gone bonkers. “Gurus” like Dr. Oz tell us in intimate detail the nutritional constitution of an eggplant. And at the same time, obesity is at an all-time high. Ignore all that superfluous science and just eat a basically healthy diet because you already know what a good diet is and you don’t need anyone to tell you otherwise. Years ago, the world was not obsessed with the science of a cucumber. They knew it was healthy so they ate it. And they were on average far healthier (and thinner) than we are today. Everyone on Earth already knows what a basically healthy diet is. Just eat it. Forget about everything else. And if you struggle to stick to it, use these meditations for dieters. Fitness gurus get a kick out of coining a new workout system. Same with many other forms of exercise. Egotistical fitness gurus want to be the person who created the system. And so they constantly create new workouts while the rest of us pander to their egos. All we need to do is basically exercise. If you’re getting your heartrate up and sweating, you’re exercising. Simple. And that is our second easy wellness tip. 3: Is that mindfulness or meditation or “mindfulness meditation”…? Just like yoga, meditation is “trending” right now. And because there is money in it, lots of companies are jumping onboard, like Lululemon, who just opened their first “meditation space”. This is great and all. 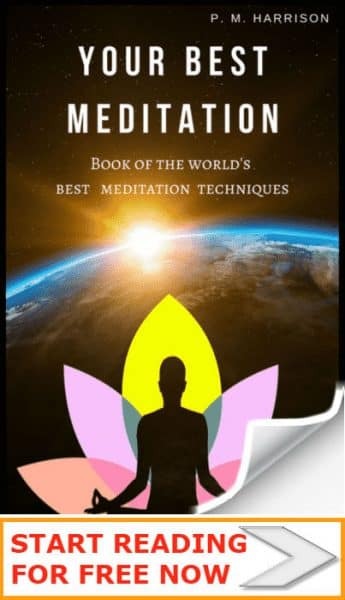 As a meditation teacher, I am very happy that meditation is becoming popular. But do we really need meditation apps that offer thousands of different meditation techniques? 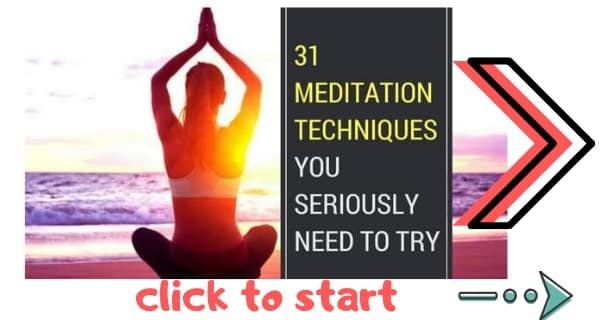 If you really want to learn meditation, read this complete guide to the 31 top meditation techniques. It is everything you will every need to know about meditation ever. Period. And all the techniques in that list have existed for more than a thousand years. We don’t need guided meditations. And we do not need new ways to meditate. We just need to do it. As a meditation teacher, this is without doubt one of my favorite easy wellness tips. The global antidepressants market it predicted to grow to $13.4 billion by 2020. This statistics show why big corporations pay for “scientific research” to “prove” that people need to take them. 10% of the population is on antidepressants. Does that seem right to anyone except the suit who’s making multi-millions off them? For most people, there are better ways to cure the mind. As a meditation teacher, I usually suggest meditation. But there’s an even better way than that: nature. We’re not supposed to be confined to bricks and mortar office spaces and homes. We’re not supposed to be staring at a screen all day. We are naturally meant to be out in nature. When we reconnect with nature, we get the spiritual healing we need. So, our fourth easy wellness tip: get out in nature. This is arguably my absolute number one out of all these easy wellness tips. All the wellness advice in the world is not as important as good old water. Blood is mostly water. Lack of water prevents the body from getting the right nutrients, inhibits our bodily functions, and destroys our immune systems. With that in mind, why in the hell are 75% of people deciding to be dehydrated? Yes, it is very much a decision. It’s not like water is hard to come by for most of us. But instead many people choose caffeinated drinks, pop, and alcohol (now excuse me, I have to take a sip of my English Breakfast Tea). Dehydration is a leading form of illness and death and there is absolutely zero reason why it should be this way. Wellness manufacturers are partly to blame for this. They advertise products that are healthier than water. Or they put out so called “Vitamin Water” (please look on the back, the stuff is practically as bad as Coca Cola). A 591ml bottle of VitaminWater contains 120 calories and 21 grams of sugar. When it comes to drinking nothing beats water. We all know that the respiratory system is one of the most important systems in the human body. We don’t need Doctor Oz. to tell us that. We also know that for the respiratory system to work properly it needs fresh air. prevents the brain from functioning properly. leads to seasonal affective disorder. And the lack of vitamin B will destroy your bones and increase your chance of cancer. We already know how to be healthy. We knew it when we were five years old. We do not need to be told what to eat or how to exercise. We just need to do it. That’s why we need to focus on the mind and not on the body. Because our good intentions only come to fruition when we act on them and all action begins with the mind. We don’t need complex diets and scientifically formulated exercise plans, we just need self motivation. We don’t need a whole bunch of pills, we just need to practice general good health. How many people are not doing the basics things that actually matter because they’re too busy trying to keep up with fads? “Did you watch the latest episode of Dr. Oz?” a friend asks.